WooCommerce Canvas Theme: The granddaddy of all of those awesome WooThemes Child Themes and built on the powerful WooFramework. 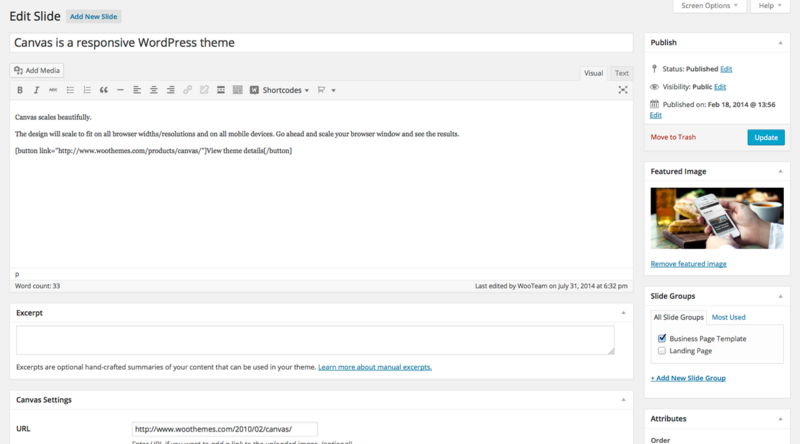 Use Canvas as a standalone theme and leverage the power of customization. Or, use Canvas with the child theme of your choice. WooCommerce Canvas Theme is the parent theme for several stunning WooCommerce child themes. The theme comes with native support for WooCommerce and is built on the trusted WooFramework. The ultimate in flexibility, WooCommerce Canvas Theme is particularly suited for those expecting to heavily customize their theme. If you are a web design novice, try combining Canvas with one of many niche child themes. 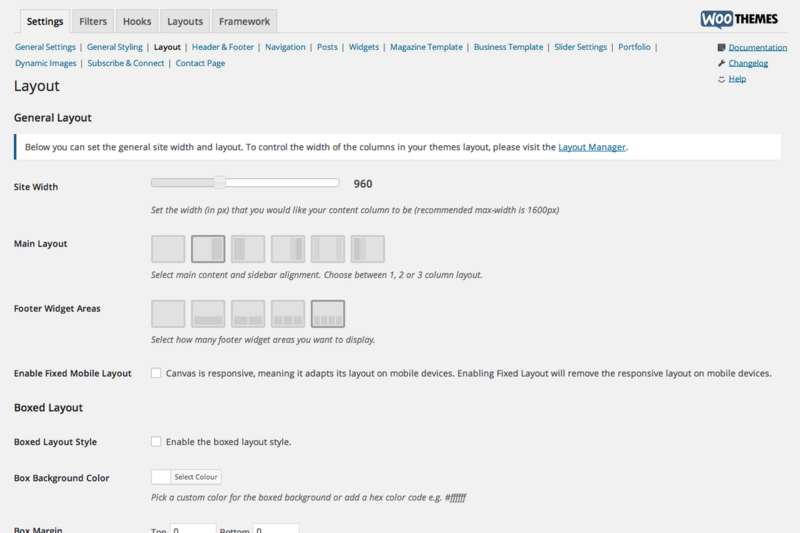 Easily Customize Your Layout… Always Responsive! WooCommerce Canvas Theme offers several useful page templates and custom post types. 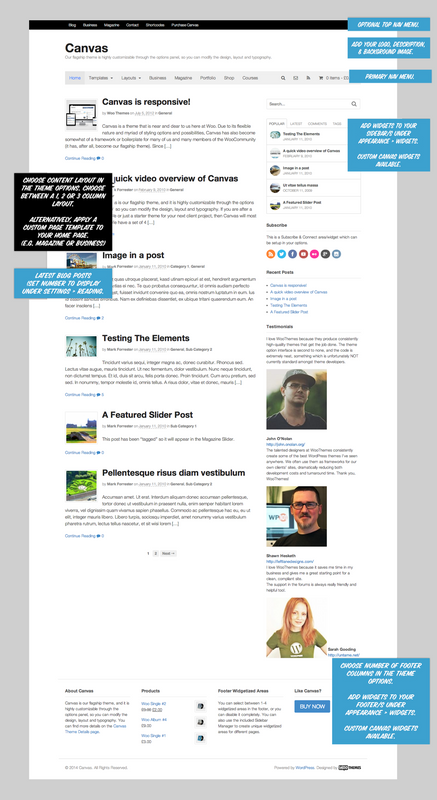 … and the “Magazine” template! 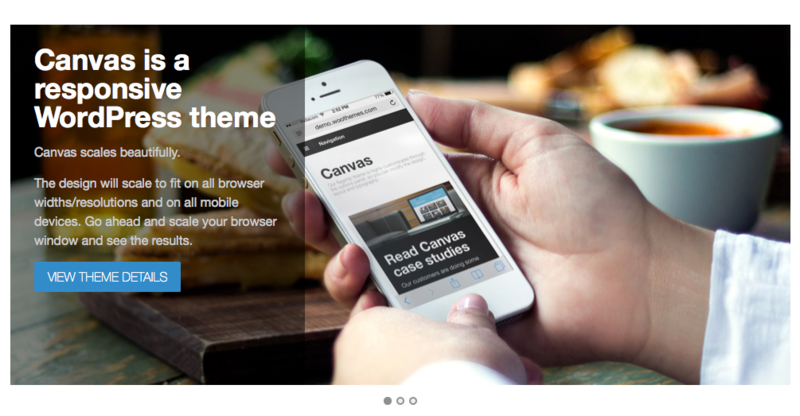 With native support for WooCommerce, the Canvas store page is built to help you sell! Single product pages are clean and user-friendly. 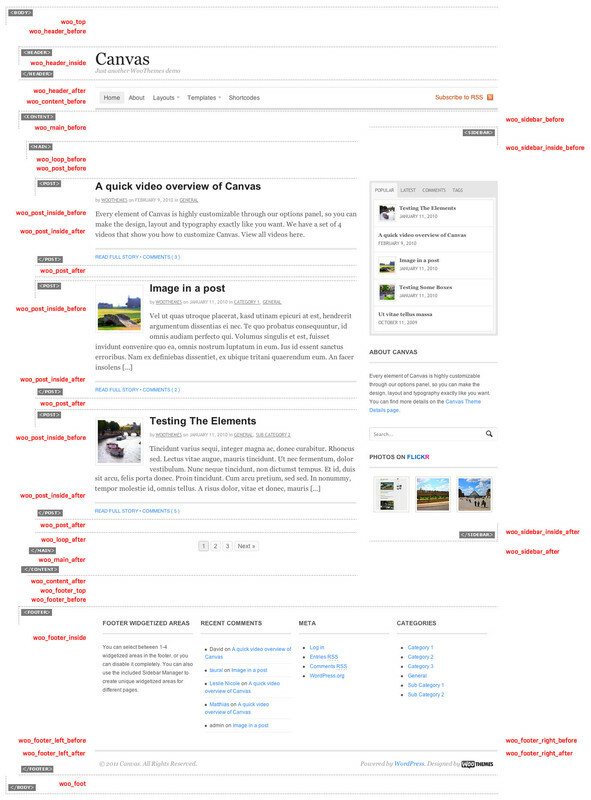 Does Canvas seem too complicated? No problem! With Canvas Child Themes, you can harness the power of Canvas for your specific business needs. There are Canvas Child Themes for every niche. Build a stunning, professional website without html or css expertise.